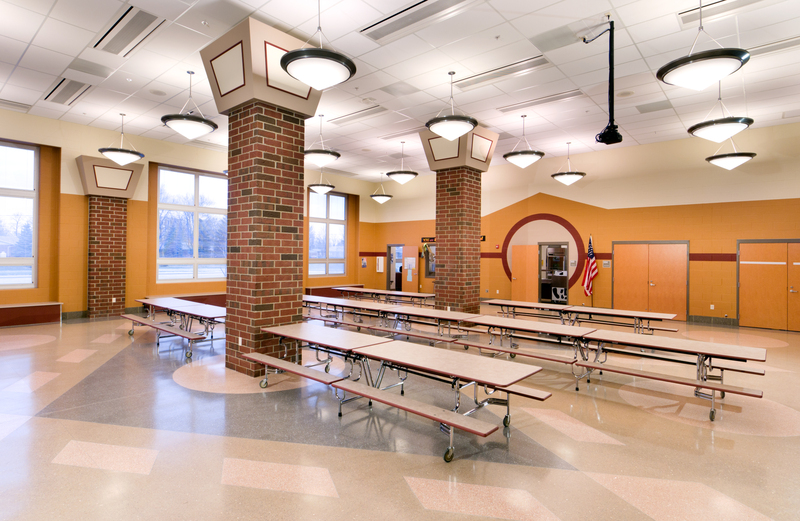 The school was designed to accommodate 350 students in grades PK-4. 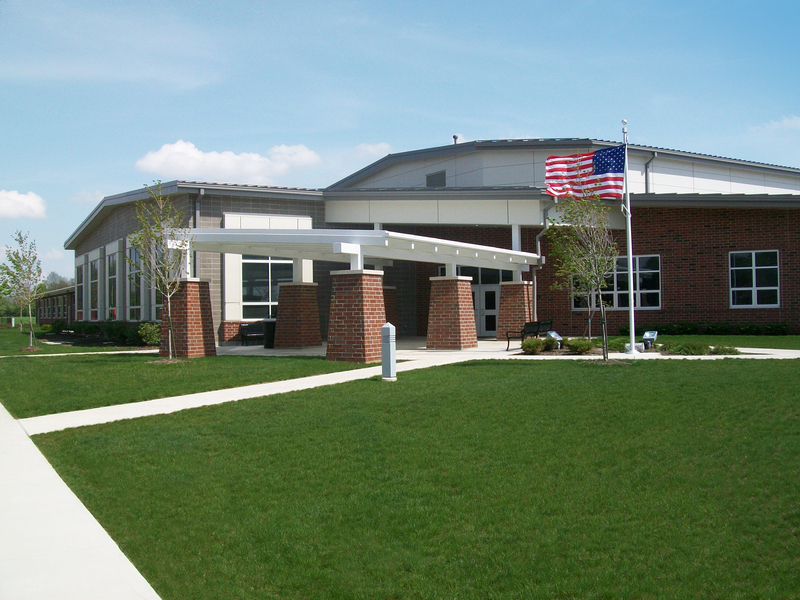 In addition to the space provided by OSFC, the district chose to include several special education classrooms to accommodate county programs and a larger gym with spectator seating for 500. Particular attention was paid to the building location and orientation. Residents of the assisted living community across the street volunteer working with students and needed a strong connection between the two sites. The playground was located to the east of the building to minimize distractions through the classroom windows. 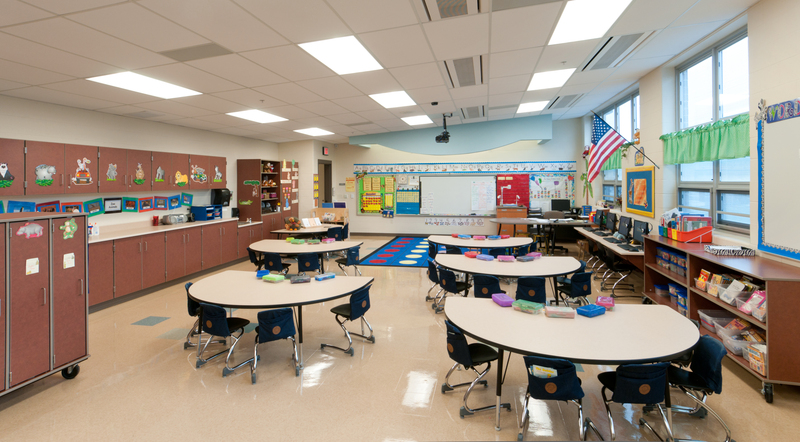 Additionally, building orientation was important to the final design to enable natural daylight in every classroom for an effective learning environment. Energy efficiency was the driving factor when selecting roofing, insulation, windows, lighting, and HVAC geothermal systems. 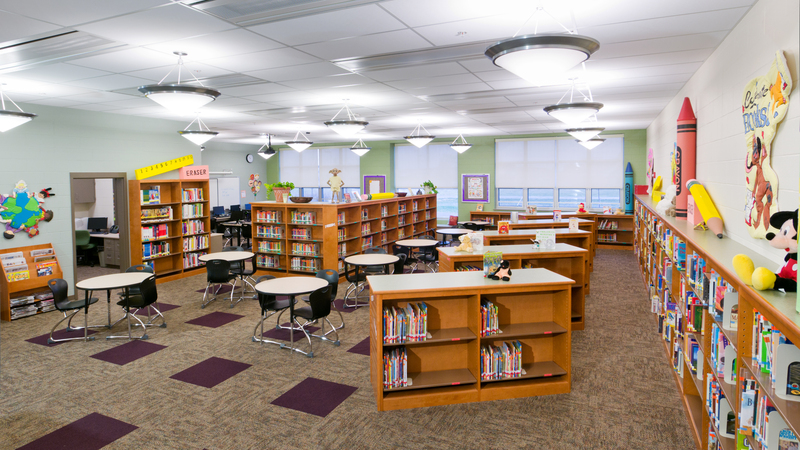 This project achieved LEED® Silver.